Say WHAT?!? #BlackProGen at the Genealogy Jamboree! - who is nicka smith? Say WHAT?!? #BlackProGen at the Genealogy Jamboree! 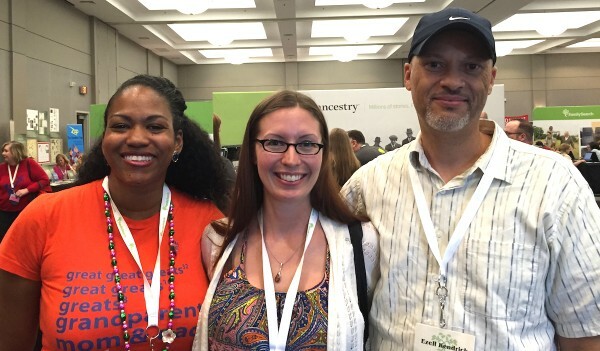 From widows, to slavecestors, to DNA, #BlackProGen represented well at the 2015 Genealogy Jamboree. 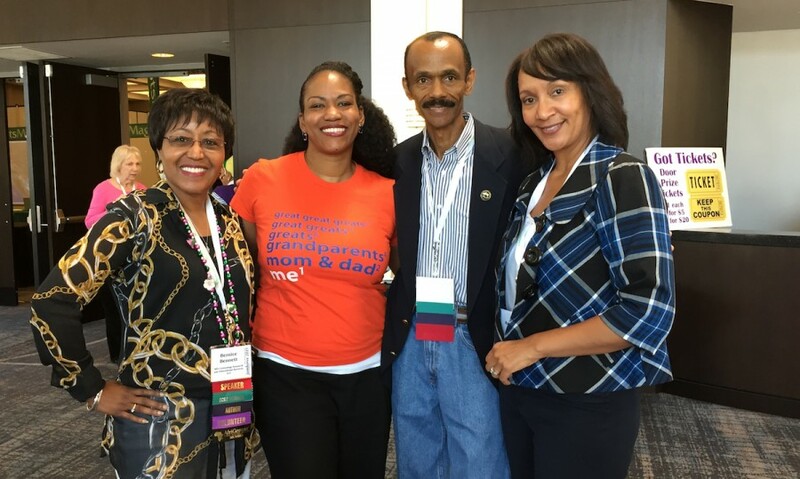 Pictured above: Bernice Bennett, yours truly, Michael N. Henderson, and Anita Paul. I had an awesome time at the 2015 Genealogy Jamboree this past weekend. 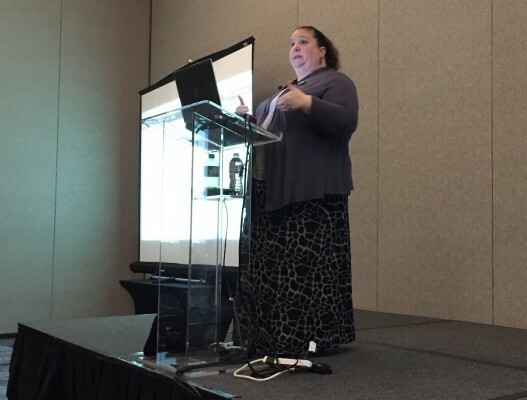 It was my third year speaking at the event and I have to say that it was the best yet! Each year gets better and better with the number and type of classes offered, the people who come, and the overall camaraderie displayed by our genealogy community. 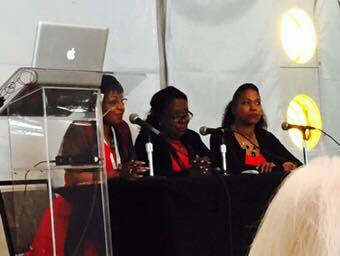 Bernice Alexander Bennett, Angela Walton-Raji, and me during the Reaching Out, Reaching In panel. Image care of Felicia Addison. 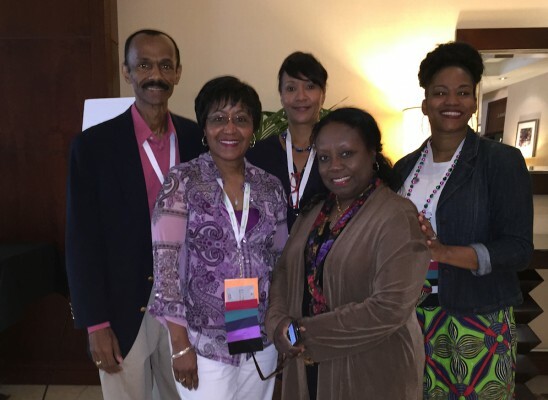 This year, the organizers created an African American track of classes that featured presentations from the likes of Judy Russell, Bernice Alexander Bennett, Angela Walton-Raji, Michael Nolden Henderson, Anita Paul, Crista Cowan (who is also my cousin and on staff at Ancestry.Com) and yours truly. If I can say so, we wrecked shop! Classes were packed! 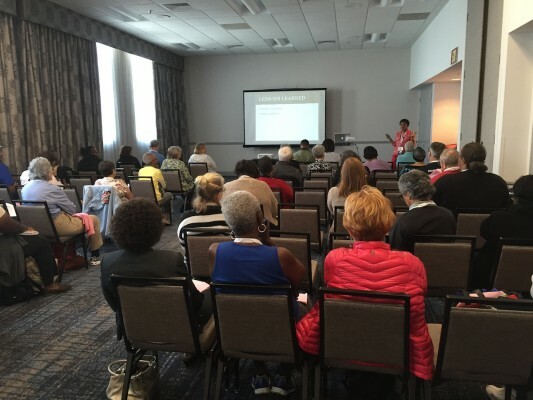 We began the conference with a panel called “Reaching Out, Reaching In” which covered diversity in genealogy, especially in the realm of genealogy societies. 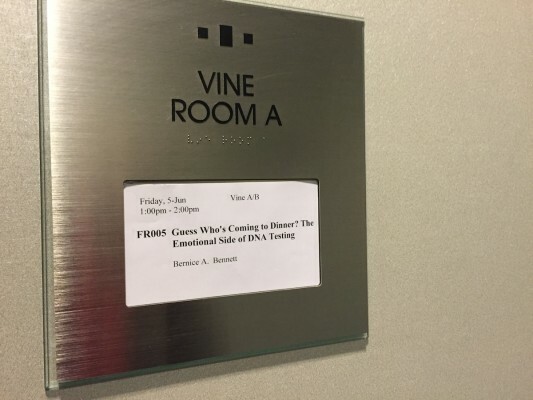 Following that, I presented on tracing slaves and slaveholders using genealogy and DNA and on The Great Migration. We all wrapped up the weekend with another panel on publishing your family history that was excellently moderated by Anita Paul. 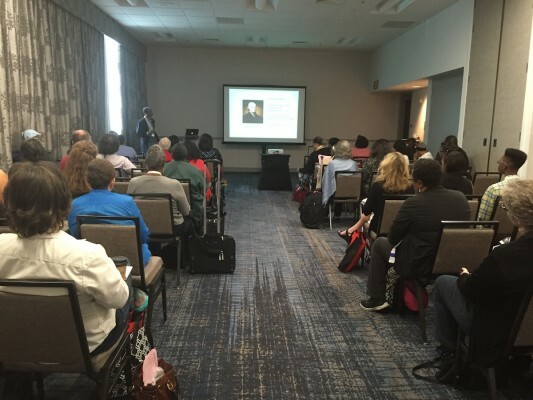 We heard from many that our presentations and panels were the highlight of the conference for them. That was so good to hear. Many also told us to take them to larger venues. 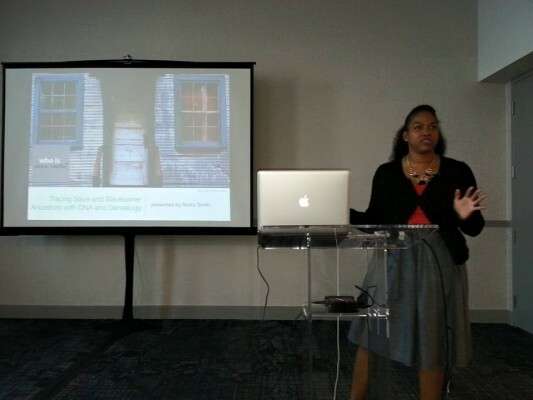 Me presenting on “Tracing Slaves and Slaveholders Using Genealogy and DNA.” Image courtesy Anita Paul. Bernice Alexander Bennett presents on the emotional side of DNA testing. 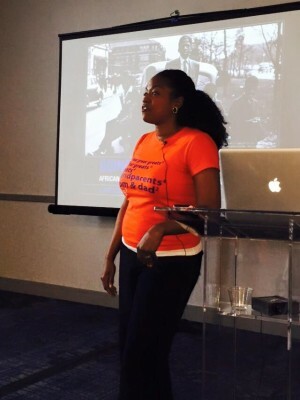 Me presenting on The Great Migration. Image courtesy Felicia Addison. 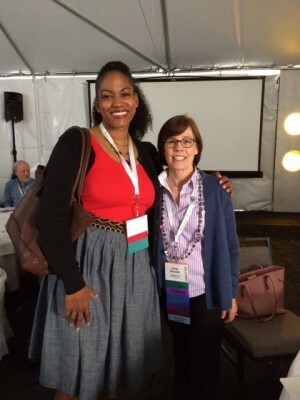 Me and California Genealogical Society President, Linda Harms Okazaki. Image courtesy of Linda Harms Okazaki. If you use the African American collections search, it will put all the non-European results at the top of your search results. Ancestry.Com is now indexing a million records a day! The site has more than 32,000 different search forms. Of course I got a bit of social time in as well. It was great to see my California Genealogical Society (CGS) buddies Kim Cotton, Jim Sorenson, current president Linda Harms Okazaki, getting blogger beads and a big hug from geneabud Thomas MacEntee, a big hug and some time with geneabud Elyse Doerflinger, and some kee-keeing and comparing notes with one of my dear friends/geneabuds, Felicia Addison. I was also interviewed by Ancestry.Com about the cousin connection between me and Crista. Stay tuned for the link to the video once it’s posted. Kudos, again, to the planning committee, volunteers, et. al for the 2015 Genealogy Jamboree. You all did a fantastic job and I can’t wait to see how 2016 will be! Crista Cowan presents on African American resources on Ancestry.Com. Our panel for the publishing your family history class: l to r Michael N. Henderson, Bernice Bennett, Anita Paul, Angela Walton-Raji, and yours truly. Yours truly with cousin Jeanette and her cousin Ezell in the exhibit hall at Jamboree for our now yearly picture. Pingback: The Great Equalizer – who is nicka smith?